You need to have a strong cover, that can be sealed to the floor or basin. If you have a sump pump all cords and discharge pipe must pass through the cover and be sealed. For pipe and cord seals click here. Do you have water that flows into the top of the basin when it rains or appliances draining into the sump? You will want a special sump cover drain. These allow water down but stops air draw from the house. If you have any untrapped drains using the sump these will have to be retrofitted with a special drain. 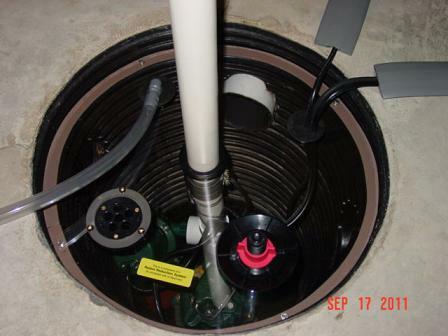 A good design will allow for easy access to the sump basin by using an inspection plug. Otherwise the whole cover will have to be removed. 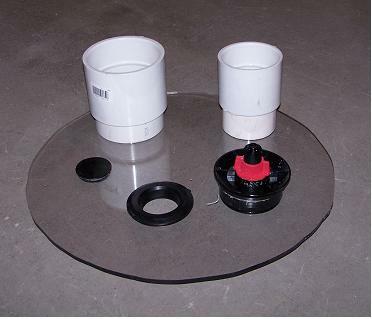 This cover shows a cord seal, 2" Uniseal for the sump discharge and a removable inspection plug for access to the sump after the lid is secured and sealed. 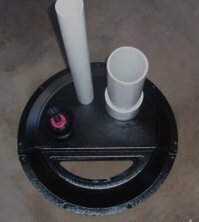 To attach a radon vent pipe to this cover either of the two PVC coupling set ups could be used.For 4" pipe make a 4-1/2" hole in the cover. The short piece of pipe will slide into the top of the cover and held from slipping into the basin by the 5" diameter coupling. A small amount of silicone is used to seal around the coupling for an air tight fit.For 3" pipe a 3-1/2" hole is required. Here is an installed lid. All sealing is done with silicone caulk for easier removal. The discharge pipe for the sump pump is sealed with a 1-1/2" Uniseal and a 3/4" Uniseal is used for the condensation line. The cord seal can accommodate from 1-3 cords. To allow water through the cover in the event of an emergency a one way Dranjer F-S2 valve is used. And finally a removable inspection plug (red/black) is added to allow access to the pump in case of a stuck float or other routine maintenance. 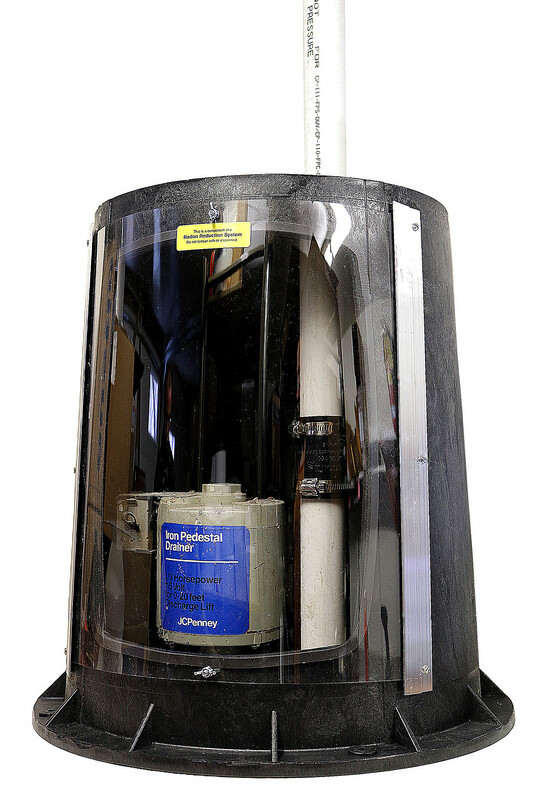 A label should be fixed to the cover to note that the sump is part of the radon mitigation system. 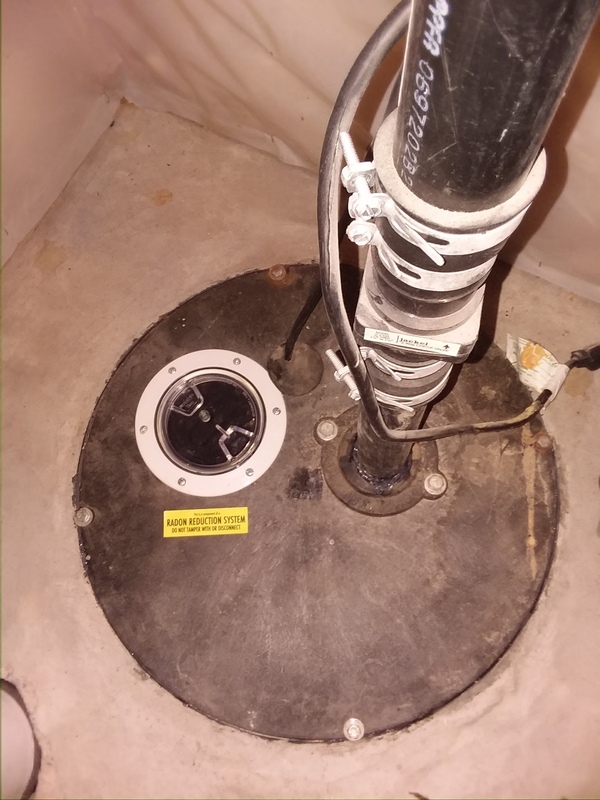 The suction pipe for the radon fan was located over the drain tile about 20 feet away. This was closer to exit point from the basement than the sump. The radon level in this home was reduced from 64 pCi/L to 1.3 pCi/L. Very effective!! 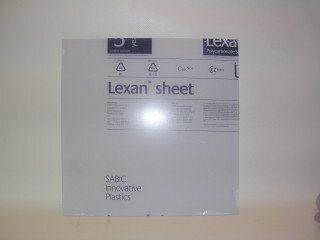 Lexan can be easily cut with a jig saw to fit any diameter sump crock. Make sure to seal all pipes and cords that pass through the cover. 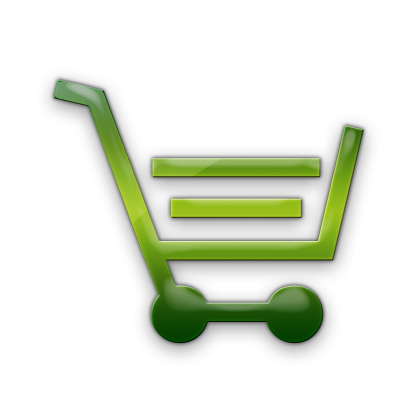 For pipe and cord seals click here. 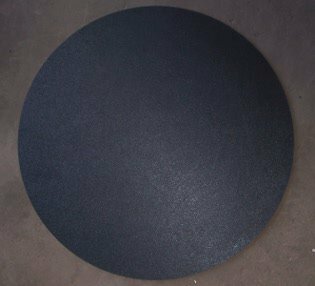 28" wide stationary base plate is designed to be sealed permanently to the floor. The round upper cover seals to the base with bolts and rubber gasket to make air tight. Installed in the cover are a 5 port cord seal, 3" threaded flange and a adjustable flange in the top of the cover to accommodate pipes from 2" to 1-1/4". 1", 1-1/4"' 1-1/2" and 2" rubber uni-seals for extra pipes. This cover also has 6 flat areas on the side of the base to allow for side discharges from the sump. This will allow these pipes to remain stationary when the pump needs to be serviced. Note: For large basements and or high radon levels, 4" pipe should be used for maximum radon reduction. A hole saw can be used to modify this cover if needed. For other sized pipe and cord seals click here. 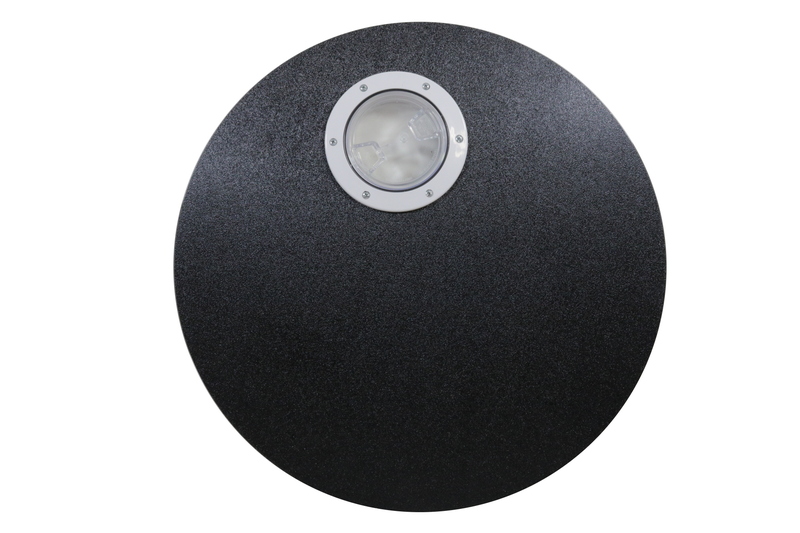 Heavy duty molded ABS plastic sump pit cover with a strong center support brace. Cover is .187" thick and is 24" OD and 3" high which will cover most sumps. Cover separates into 2 parts which can allow for installation without pump removal. This cover needs to be screwed to the floor. Instructions are included. This cover can be cut easily with a jig saw to fit your sump's diameter. 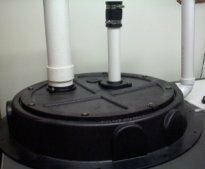 Easily inspect your sump pump with this sump cover that has an installed screw off inspection port. Port is installed about 2" from the edge of the cover. The cover can be cut to fit the size of the sump crock. 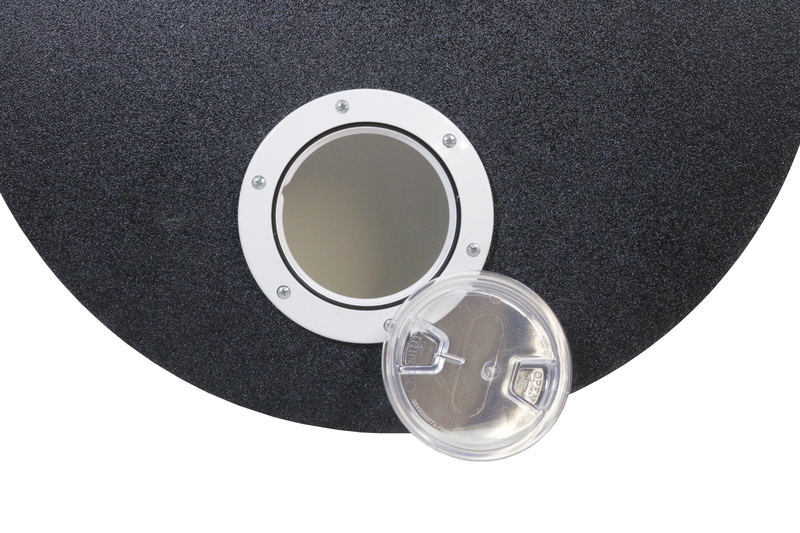 Inspection port screws off for easy access and the transparent center plates permit observation without the necessity of removing the center. Already have a sump cover and want to install your own inspection port? Buy just the inspection port here. 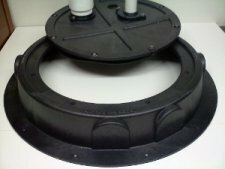 Great for pedestal type pumps or when backup pumps get in the way of a flat cover. 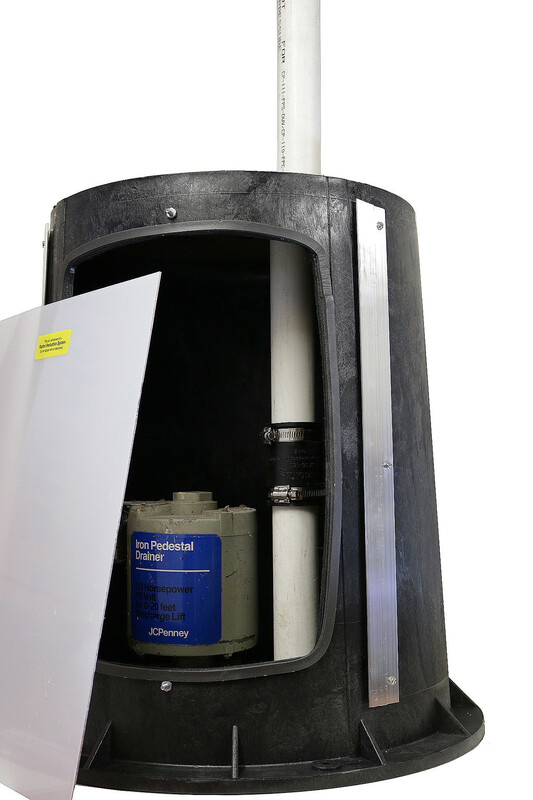 The clear door panel is removable for easy access to your pump and should allow for pump replacement without removal of the entire cover. The door panel is clear lexan and seals against a foam gasket. 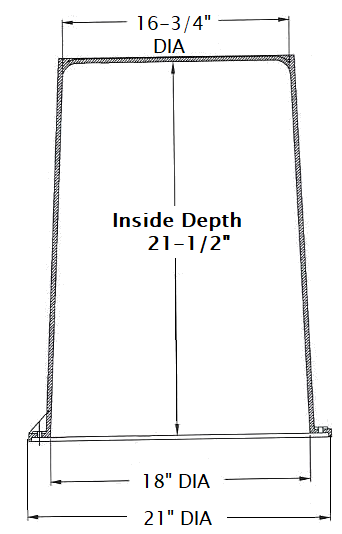 High rise cover measures 22" high by 21" wide. 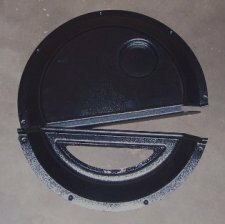 Need a custom sump cover? 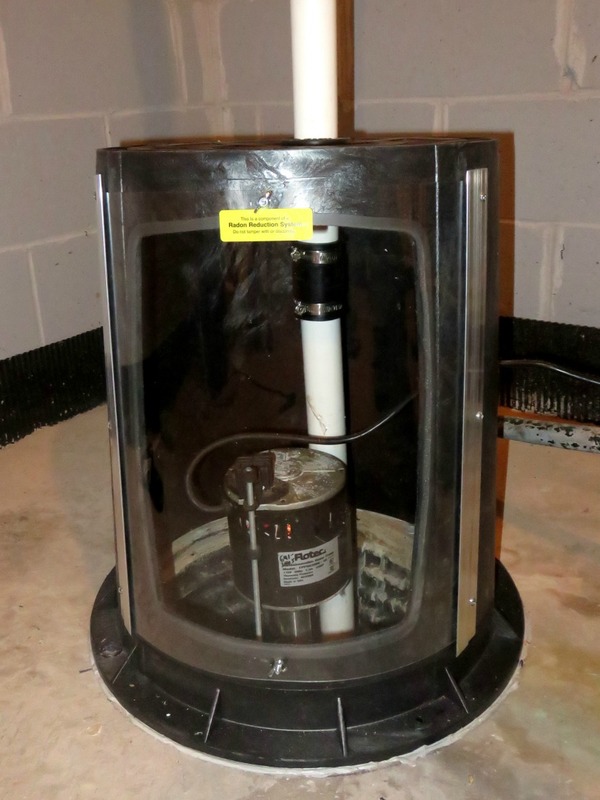 We can build a sump cover to fit your radon mitigation needs. Use the contact form below. 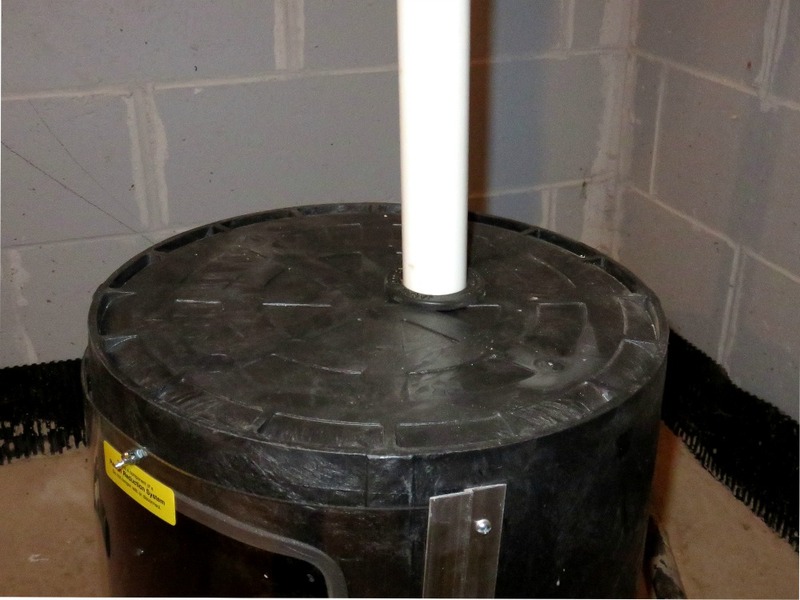 Contact us for a free quote on a custom sump cover!